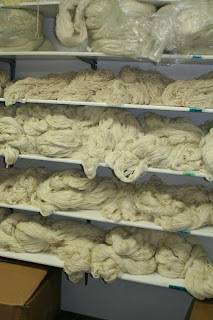 We have been given the opportunity to purchase organic wool for dyeing. 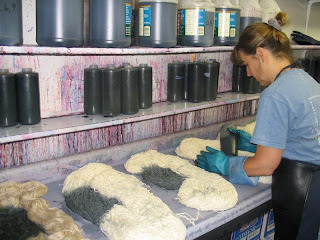 It would be the same gauge as our Weavers' Wool yarn, would NOT be a superwash and it would probably be dyed in organic dyes. Would anyone be interested in this yarn?? We would love to hear from you about this before we decide to jump in. We are also going to poll the shop owners we talk to at the trade show next week. Don't be shy!!! Let us hear from you!! I have to tell you how thrilled I am that I found your blog. 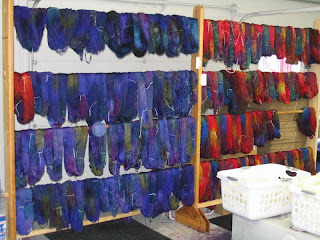 I am a long time buyer and user of your fabulous yarns and colorways. Long time! 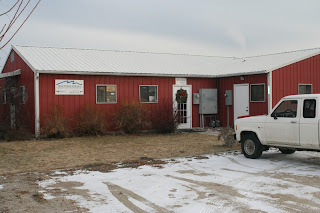 Last year my family and I moved from Wisconsin to Wyoming (Cody), and it is my life's goal to make a pilgrimage to your shop to see how things are done. I've made it this far. It's only a matter of time. Thank you. 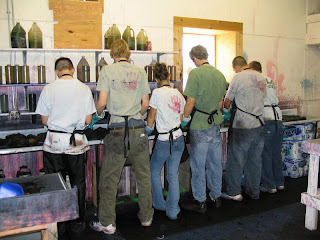 Can't wait to see more picture. I am not quite sure what organic wool is. 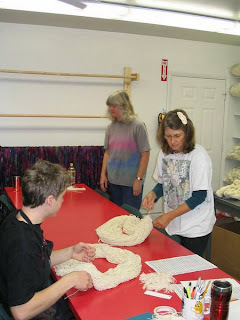 I can grasp the concept of organic cotton, but what makes organic wool different from regular wool??? 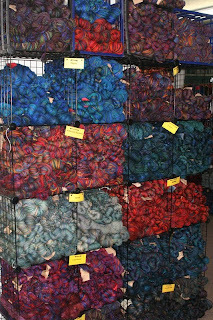 I'm not usually willing to pay the differential for the organic yarns. But I never say never, especially when it comes to Mountain Colors! 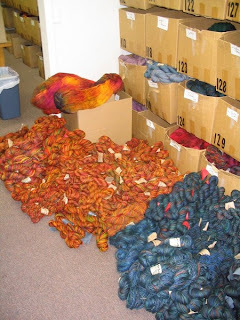 I just found the blog...I'd love to use some MC-dyed organic wool. I hope you try some! 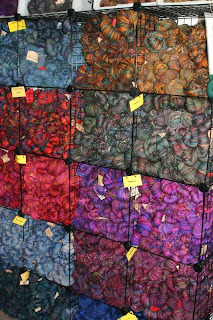 I'd love to see organic wool yarn in your collection. 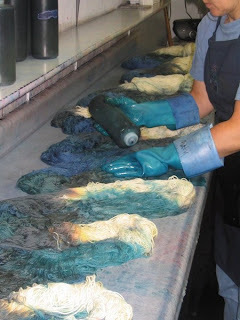 Low-impact dyes would probably be fine to use. Too bad you couldn't do superwash organic. That would be great in baby colors.